What is a 10 Minute Novelist? 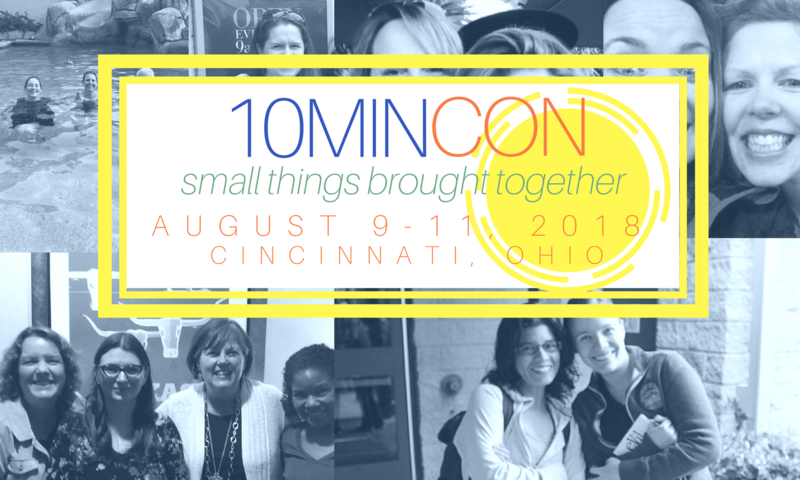 Mr. Bell will be speaking at 10MinCon on August 9, 2018. He is a popular speaker and author. Join us at the conference to meet Mr. Bell in person. Click the image to visit Mr. Bell’s website. In Japan, after World War II, the concept of kaizen was introduced into their industrial culture. It resulted in a huge boom in technology and manufacturing that rebuilt Japan and made her prosperous. It’s a simple idea. It means ongoing quality, and systems set up to test quality all the time. And, every day, striving to do something better. Why should a writer do any less? You are responsible for designing your own writing improvement program. One that never ends. To do that, you have to look at both yourself and your fiction. And you have to take the “critical success factors” of each and figure out ways to make them better. See registration tab above for how you can register! But most writers don’t think in a kaizen type of manner. We are artists, after all! We want to frolic in the tulip fields of the imagination! We don’t want to get weighed down with things like, yikes, strategic planning! We could have gone to engineering school if we wanted to do that kind of thing. Come on there, Bunkie. It’s not that difficult. Here’s the idea. Even if you improve an area only 10%, if you do that with each factor you are improving yourself in an exponential fashion. That’s how to get intentional about your career. Mastery of the craft, the tools and techniques of fiction, is, of course, essential to your success. If you don’t know how to put together a scene, or show instead of tell, or construct crisp dialogue, or any of the other nuts and bolts, it’s over. You won’t write salable fiction. Keep learning your craft. Do it systematically. At the start of my career, I created a Writing Improvement Notebook (see The Art of War for Writers for details of what’s in this notebook). Do the same. Make it your own, use it. Spend time in it every week. This means, simply but powerfully, a quota of words. Every week. I split my writing week into six days and go for 1,000 words a day. But I track it weekly, so if I miss a day I know I can make it up later. I take Sundays off from writing, to recharge my batteries. (Discipline is also about working smarter, not just harder). Produce the words. There is no substitute for this. Even if your quota has to be small because of your circumstances, pick a number that works, and stretches you just a bit. Then go for it, week in and week out. Old “Silent Cal” Coolidge wasn’t given to many words, but these are the choices. You’ve got to stay in this deal for the long haul and determine that from the start. Or right now. You have to know this business is practically all about setbacks and overcoming them: rejections, waiting, criticism, lack of sales. Just determine you’re not going to stop. Ever. The worst that will happen? You’ve written a lot of fiction. You’ll have spent a good portion of your life in wonderful dream worlds you’ve created. You can live with that! You have to stretch as a writer. Not so far that you tear all your muscles. You don’t try to pole vault twenty feet if your personal best is ten. But to write for all you’re worth you need to go a little further. You need to reach further than your grasp. Take risks with your characters, plots, settings, research. Go deeper. Because if you don’t, you’re just producing what people can get elsewhere. Vanilla. Headline: publishers and agents want to make money. In fact, they need to make money, or they go out of business. It’s not a bad thing to make money. If you want to write and not get paid, you can skip this part. But if you do want to make some lettuce as a writer, you should constantly be asking this question: who on Earth would pay good money to read what I’m writing? Whether you self-publish or seek a house contract, you need to have an answer! James Scott Bell will be a featured speaker at the 10 Minute Novelists Conference August 9 – 11 in Cincinnati, OH. A winner of the International Thriller Writers Award, Jim is also the author of several bestselling books on the craft of writing, including Plot & Structure and Write Your Novel From the Middle. To receive updates on Jim’s books and appearances, please visit this page on his website.